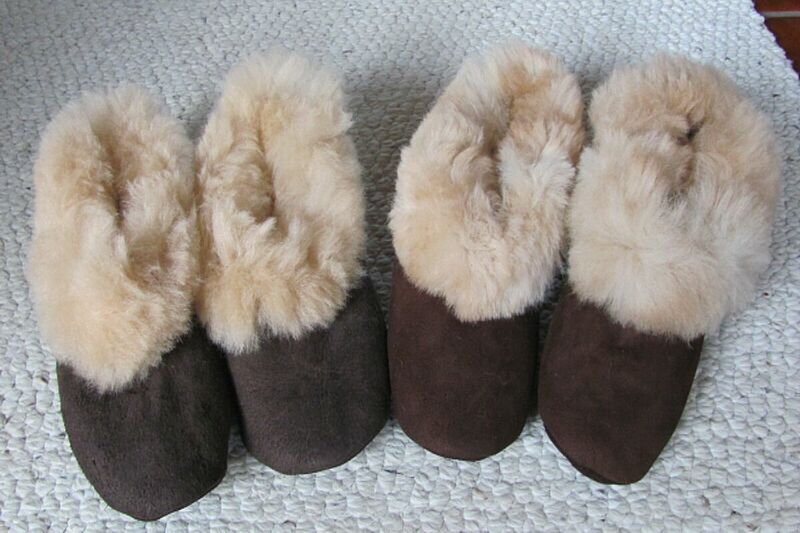 Alpaca Slippers 100% alpaca fur lined slippers, suede on the outside. Soft, comfortable and warm! The nicest things your feet will ever know - besides a pair of alpaca socks, that is. These make a great gift item! Care: clean outside as you would any suede product. If fur becomes matted, just use a hair brush to fluff it back up. It fur gets wet, let dry naturally, then brush with a hair brush. Do not rub or agitate wet fur as it will felt. Made in Peru.